My daughter is racking up success after success in her slow cooker attempts. This week she tackled Curried Beef Short Ribs. This is a recipe she found in Cooking Light Mix & Match Low-Calorie Cookbook on page 190; when then found it online so we could share it with you. The calories per serving is 410. 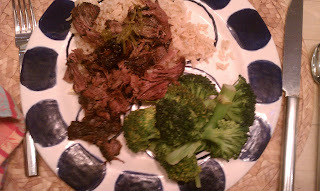 We added steamed broccoli to complete the meal. The total calorie count for the meal was 435. It was tasty. The curry was understated and not hot. It gave the meat a richness. 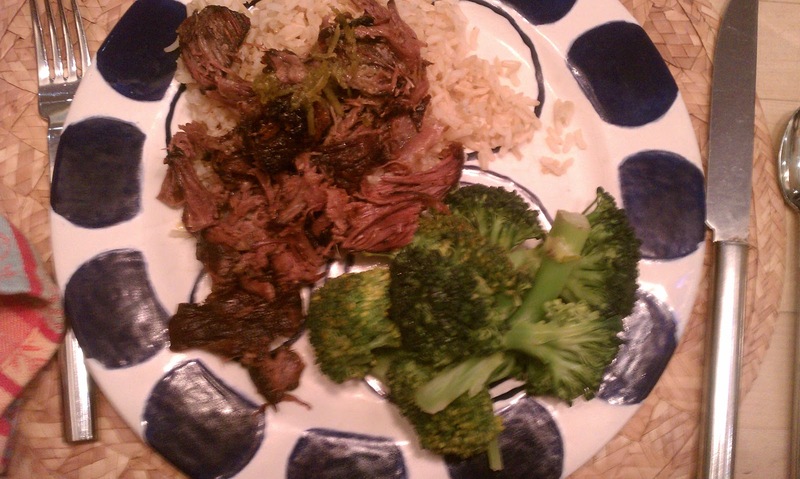 The meat was shredded and placed on top of brown rice. There was sauce drizzled on top which added necessary moisture and a brightness. It was a fun change of pace. Repeatable but not one to put on our "favorites list...better as a change of pace.